Hotpoint cookers combine the latest technology with sleek design for an affordable price. With small stoves to larger range cookers on offer, along with choices of electric or gas, there is a Hotpoint cooker for every home. With a Hotpoint cooker you get large cooking capacity, which is perfect when cooking for the family. After your family meal Hotpoint cookers make cleaning your oven easy with their catalytic liners. They are designed to oxidise grease and excess fat when the temperature reaches 200 degrees, meaning you can simply wipe the surface clean when done. Our range of Belling cookers give you a variety of designs, features and functions to choose from. Their electric ovens start from as little as £200, perfect for smaller kitchens or those just looking to expand cooking space alongside their current oven. 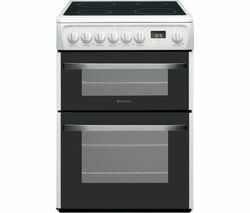 If you want something larger, Belling also offer a selection of range cookers that boast two ovens and hobs which include five or seven burners. They’re also easy to clean for your convenience. For a real chef’s experience try one of our SMEG cookers, designed with practicality and elegance in mind. From 60cm models for those with limited space, through to range models with a large double oven, SMEG have an option to suit all kitchens. 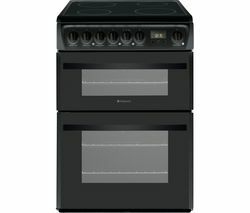 They also come in stainless steel, black or cream finishes and hob top models.